even though it feels like spring is coming earlier than ever before, this happened last year, too. 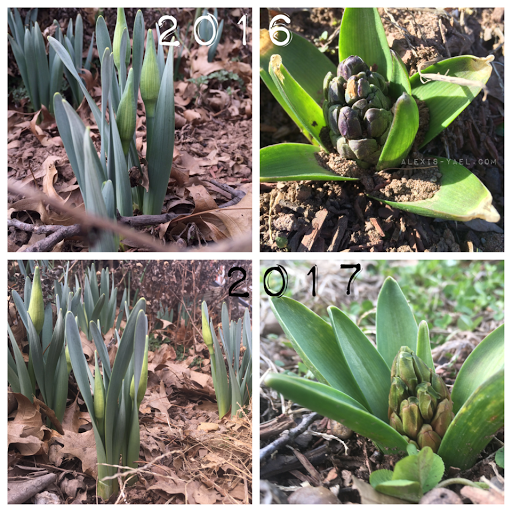 everything is coming up at almost the exact same day (the top photos were taken on March 7th and 10th, the bottom ones, today). but the year before, nothing was up until the end of March. there were crocuses in April. I wonder what will happen next year.